A soft and caring blend of lemon, jasmine, vanilla and lily. COMMENTS: I use this in body butter and it smells amazing! COMMENTS: My favorite baby scent, great seller. Smells so soft and fresh. COMMENTS: I added this to some baby buttermilk soap base. I wanted my cousin to have a nice and mile soap for his first bath time. Great. COMMENTS: Everyone loves this fragrance and say it's just like the original. Some say better! COMMENTS: Love, Love, Love. Light and airy, floral scent. Not too strong. One of my favorites. COMMENTS: Worked well in soy. A nice cold and hot throw. Soap and lotion is a hit with my customers. COMMENTS: This is so far my favorite fragrance oil from WSP. It is a comforting and innocent scent. The first thing I smelled was baby powder, but the peach scent really came through. I used it in CP soap, and the scent lasted for about four weeks. COMMENTS: This scent smells so soft and just relaxes you. It reminds me of babies even though I was very skeptical. This scent was perfect for my baby shower soaps. COMMENTS: I absolutely love this scent. It reminds me so much of baby's breath. That almost sweet peach scent. It's not powdery. It light and fresh. It is my number one go to. COMMENTS: I can't speak to how it compares with the original, but I am so amazed by this fragrance. I've only used it in a roll on perfume so far (only got it yesterday), but OOB and in the perfume it is just divine. My favourite of the 3 philosophy scents from WSP. I don't smell this and think baby (although, it is so soft and sweet it can totally be used for a baby scent). I just find it absolutely wonderful. Wow. MMMMMM. I can't even. This may be my favourite scent of all time. I really hope it works well in CP (and I will try to update my review), but if it doesn't, I'm will just use it as a perfume. I will be back for more. NO question. "My search is over! WOS FO are spot-on!" COMMENTS: I've tried many fragrance oils searching for my favorite Philosophy" scents! I can hardly believe I can actually say this but . . . . . . my search is over! (Seriously, I no longer need or want to look in hopes of finding something better!) The fragrances are fantastic! Honestly, I feel they're better than the brand name! Plus, I don't have to feel guilty spending so much WPS FO prices are so reasonable and the quality is great! By the way, Amazing, Baby and Falling In Love are all spot on! Sincere thanks to WPS for making quality products available at an amazing price point! You've gained another life-long happy customer! • Smells like brand name! "This is our preferred baby scent"
COMMENTS: I bought this to do baby shower soap favors and was expecting the typical "powdery" scent typical to this genre, but was pleasantly surprised! It has a clean, pleasant and almost comforting scent that would be perfect for facial soaps. COMMENTS: I got this because of the ratings. I cannot tell you how AMAZING it smells! I make CP Soap, smells GREAT did not accelerate, and I'm going to order more! "This is the exact dupe of P********y! " COMMENTS: I love how soft and feminine the scent is but it mellows out and leave a sween green notes. COMMENTS: This is a nice, soft scent that is just right for the baby shower I'm making soaps for! COMMENTS: Wonderful duplication of the designer scent. Thumbs up from a very die hard user of the original! COMMENTS: I bought this to make shower gift soaps. It was easy to work with in CP soap. No acceleration. The fragrance is very light but smell very nice. I wish it was a little stronger but after 3 weeks its still the same so holding good still. "Great soft and gentle scent. Perfect for babay'"
COMMENTS: My customers love this scent and so do I!! Behaved well in CP! This is my go to!!! COMMENTS: i loved this scent. I used it with a detox bar I made using rose and sea clay. It came out light and fresh. COMMENTS: Great scent, very girly! This would be great for a teen and or adult. Tried it in lotion and shower gel so far and I love the results! Try it, you'll love it! "wonderful light philosophy type scent"
COMMENTS: This scent is a new one of mine, but a big hit. Great new mom and pregnant mom scent. Not super strong, but customers who like light love this. COMMENTS: This is one of our best sellers. This smells amazing in body butter. COMMENTS: I didn't really get the lemon, but I still enjoy the scent, it reminds me of an expensive floral perfume. COMMENTS: Smells just like Philosophy's Baby Grace and performs well in CP soap. Scent comes through well and has good staying power. COMMENTS: I've never smelled the Philosophy version so I can't say whether or not this is a true match but what I can say is that this is up the sweetest (not as in sugar sweet) fragrance I yet to find for baby soaps. I just love it and am banking on my friends, family and customers will too! COMMENTS: This is soft fragrance, but I was looking for something soft for my customer that don't like a strong fragrance. "No powder scent with this one!" COMMENTS: I purchased this scent because my 3 year old Granddaughter wanted to make my Mother hand lotion for Christmas. My Mother is allergic to EVERYTHING. We used this scent with the already made Basic Base Lotion. My Mother LOVED LOVED LOVED the lotion!!! She has been using it for a week now and says her skin is VERY soft, and the scent is very light & fresh. My Mother hasn't been able to use ANYTHING for her skin since she was in her mid 40's because of the scent in almost every other lotion she tries to use. Thank you so VERY VERY much WSP for making a Great Grandmother's & 3 year old's Christmas the BEST ever! Much Love from our house to all of you!!!! P.S. We are now going to use this scent in a body wash for my Mother for Valentine's day. Oh, and for color for the lotion, we used the 24 Karat Gold Mica Powder. No reactions to that either. So very happy! COMMENTS: There was something I didn't quite like about this fragrance. Others seem to enjoy it, but it probably isn't something I will buy again. COMMENTS: This scent has a strong scent of diaper rash cream. Not a great reminder of a baby fragrance in my opinion. Used in m&p; it still had the same off putting scent. I ditched the bottle. COMMENTS: While I wouldn't place it as a traditional baby scent, I loved the softness of it and can totally use this in infant products. Will def. buy again since I can see adults using it as well. COMMENTS: Smells like baby powder. It's light and fresh and lovely! COMMENTS: I plan to use this for baby products but also think it will be a popular feminine fragrance too. It is a light pleasant fragrance which I personally like. I have already worked with it in soap and shampoo and think it will be a great addition to my fragrances. COMMENTS: Smells amazing - will be reordering! "Smells just like a baby"
COMMENTS: This smells great and reminds me of J&J baby soap. This is the smell I was looking for, hit nail on head with this one. COMMENTS: This is such a spot on dup! Love the original and might even love this one more. COMMENTS: This is an element of one of my most popular women's scents. Soft without being powdery, it works great in a variety of applications (I use it for shampoo bars and for deodorant). COMMENTS: I received this FO as part of a testing group. I have tried a few "Baby" fragrances, but this one is FANTASTIC! I used it first in CP soap. Perfect pour; No ricing at all; no discoloration; no acceleration. The scent fades a little as the CP soap cures, but it is a gentle and clean scent. I also used this in body lotions/butters. It is just FANTASTIC! I can't wait to order a big bottle!!! "Very nice clean baby smell"
COMMENTS: We used this fragrance in CP soap and shampoo bars. It has a very nice light floral scent, but there is this strange smell of mashed potatoes that comes out when it is first mixed with the soap. Once it cools back down, the potato smell fades and the scent is a gentle clean floral again. I used this at 2% in a bastille with 80% olive and 10% coconut and 10% castor and it performed very well. We also used this at 4% in a standard coconut based soap and it did well, again. It would make a nice product marketed for babies and young children. It does not accelerate trace, or discolor CP soap at all. COMMENTS: I am addicted to this and so is my husband. Holds up very well in CPOP. (.7 ppo) Just added it to my line and its selling very quick. I will most certainly order more. COMMENTS: I use this and mix with other fragrances for my 'men' scents. It's not a baby powder scent, it's different but works well when blended with other scents. COMMENTS: Sorry to disagree, but I get something totally different here..but it's great though! I colored my wax a light lilac because that's the "color I smell" - but not the lilac flower. This is a great scent..totally different than Buttermilk baby bee and I like it much better. COMMENTS: This FO smells exactly like Baby Grace...hold up very well in creams. COMMENTS: Most wonderful scent! Soft baby scent with a classy grownup twist. Can't stop smelling it. I used in solid lotion bar. COMMENTS: This is perfect for my new baby line. Light, but there. Unique and not like a commercial baby product fragrance. Lovely from beginning to end. Thank you so much and please keep this one! COMMENTS: I used this for my baby castile soap. Wanted a nice baby scent that doesn't smell like Johnson & Johnson products. Works great in CP soap. COMMENTS: I have been looking a LONG time for this scent and this is a wonderful copy. It's light and smells amazing. If you're worried this smells like baby powder, don't be. 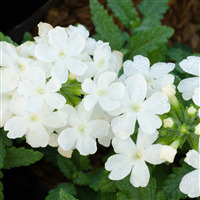 A lovely, light scent that is not overpowering and is very subtle. I was so happy to get my shipment today that I made up a batch of MP soap and went and took a shower. I can't wait to try this in body washes and lotions as well. Please don't stop carrying this scent! COMMENTS: This reminds me a little of Love's Baby Soft yet different. It's devine. I will use this for perfume, bubble bath, body creams and smelly jelly's. COMMENTS: Beautiful blend on the softer side making it great for soaking in a tub or as a facial scrub. Light and clean and youthful scent. Very pretty and doesn't clash with surroundings. Acceptable scent for church or a night out on the town! Beautifully done. My clients like this one too and I can't keep my bubble bath in stock with this one.